President of the Republic of Azerbaijan Ilham Aliyev has received a delegation led by Minister of Industry and Trade of the Czech Republic Marta Novakova. 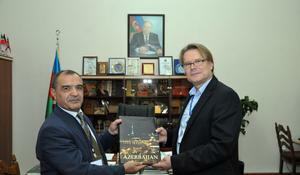 The national libraries of Azerbaijan and Czech Republic have discussed prospects for cooperation. 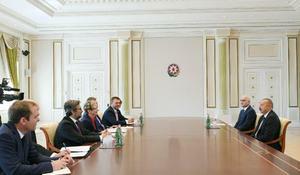 The Czech embassy in Azerbaijan will open a visa center in Baku by April's end. The Czech embassy in Azerbaijan held a ceremony of awarding young Azerbaijani artists who won the 41st edition of the International Children's Exhibition of Fine Arts Lidice (ICEFA Lidice) on October 30, the embassy said. "The Flower of Fire" concert combining mugham and classical symphony music has been organized with the support of the Azerbaijani education, culture and solidarity association, AZEDER, Azerbaijan Student Network (ASN) and the Azerbaijani state energy company SOCAR in the Czech capital Prague. The Azerbaijani judo team will start training in Nimburk, Czech on March 14-23.